The Kingfisher Primary School Founders Day went well. The school’s Year 6 adopted us as their charity that they have raised money for which may only be £100 but it’s the gesture that is important. I had 3 people come and ask for some money. One was a youth football team that is local to the school (Princes Park) and trains and plays there, another was a team of cheer leaders and the third was a lady that is trying to start a youth club. I gave away a few mugs, pens and leaflets and had lots of kids have a go at the ‘Guess the policeman’s badge number’ game that Alison and I devised. All in all a good few hours. 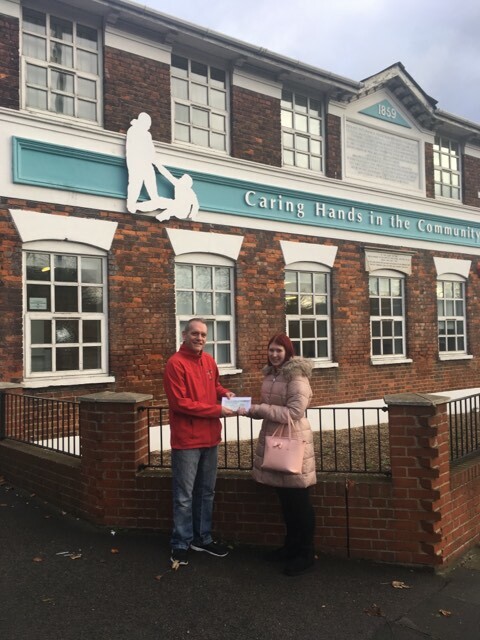 Trustee Philippa Wadsworth presenting a cheque for £500 to Caring Hands for the work they do with the homeless in Medway. 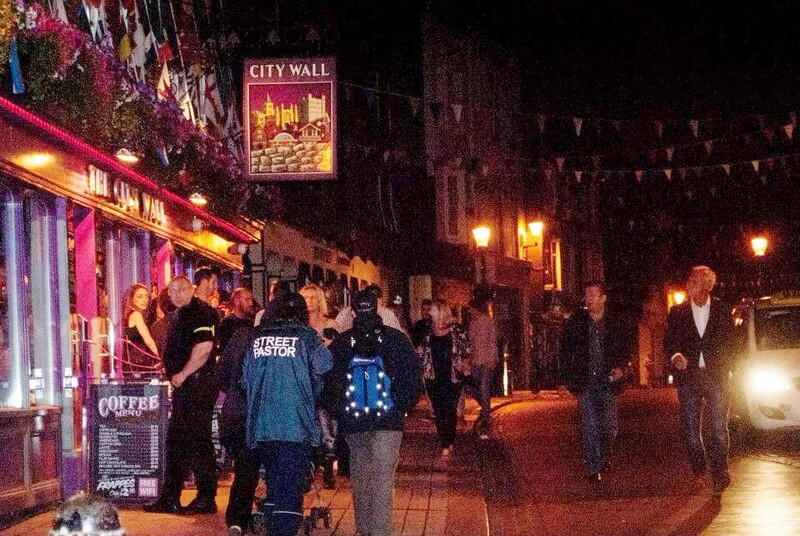 Streetcops was set up back in 2005 by two young Medway Police Officers. 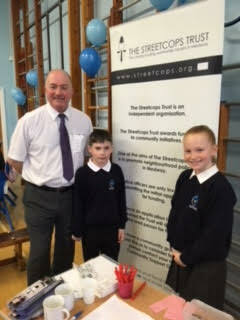 They noted that if there was something for young people to do after school it would stop the gangs forming. 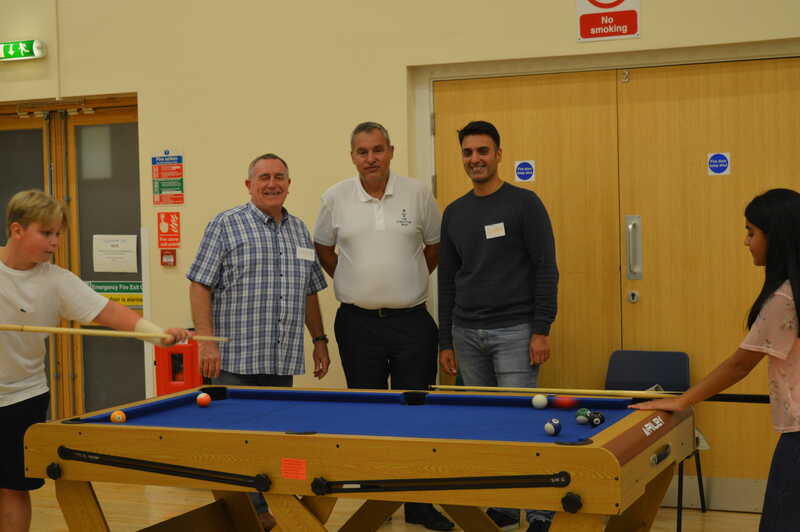 They also noted that a lot of the local clubs were in need of help financially to buy new equipment. 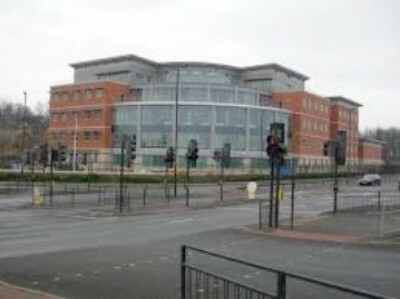 So, the two officers used their contacts with local coucilors and set up the trust. 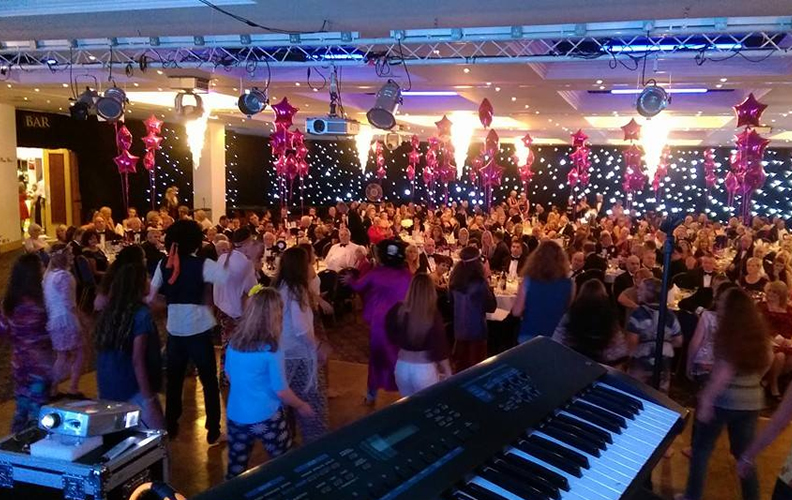 To raise money they decided to run a dinner dance/ ball . This was a great success and is now run every year (see below). The trust has also been supported by the Mayor's Fund . Promote crime prevention and crime reduction measures. Encouragement of greater public participation in prevention of crime. Provision of education, information and practical assistance to the community. The trustee's hold a meeting on the second Monday of each month. All applications need to come into us via either a police officer or PCSO. The meetings are held at Medway Police Headquarters. We try and make our decision as fast as possible getting the money out into the community helping local groups. 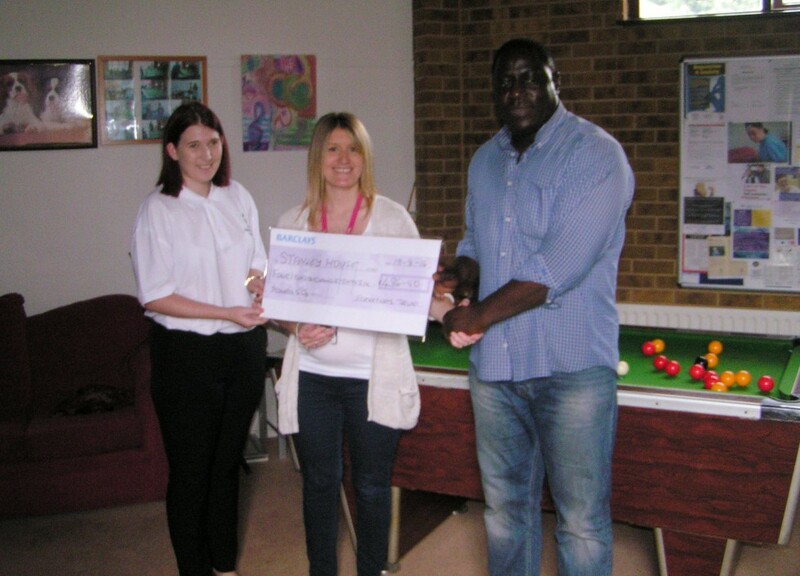 Philippa Wadsworth a Trustee of Streetcops and PCSO Rachael Smuts presents a cheque to Ben Chickcomo of Stanley House which is supported housing for adults with health needs.. The money will be used for a team building day at Howlets for the nine residents. We recently received an application from the Salvation Army in Medway, who were trying to set up literacy classes for adults who are disadvantaged through being unable to read and write. 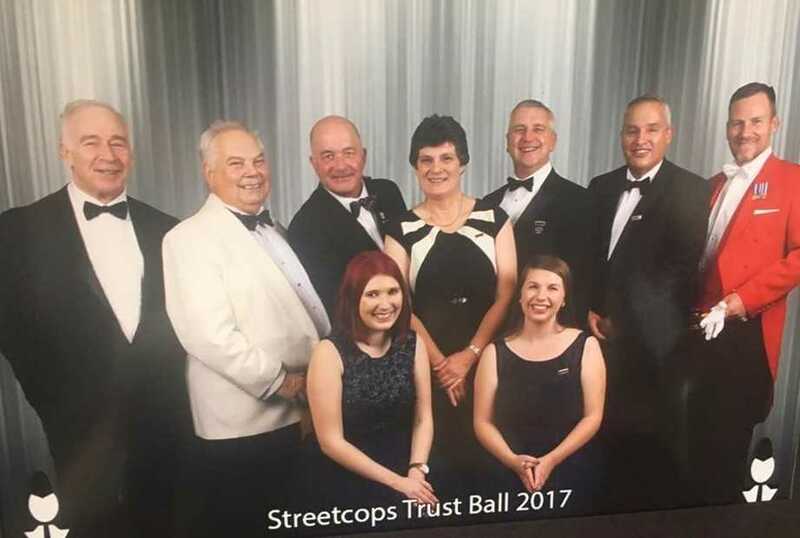 The application was supported by the local neighbourhood policing team, and was awarded £500 set-up costs by Streetcops Trust. 'The £500 donation we received from Streetcops has enabled us to get our adult literacy project up and running. We have an excellent qualified teacher (Heather) who works from 10 am until 1.30pm each Monday morning here at the Salvation Army with 3 regular gentleman. We initially made up packs for the students with notepads, pens, rulers etc and Blacks Writing Dictionaries which are specially designed for adult learners. Since then we have purchased a set of specially designed easy reading books for adult learners which Heather is using with all of them. All 4 men are making excellent progress - one now has a consistently, recognisable signature for the first time in his life, at the age of 61 - which is because they each receive individual attention and are not being taught as part of a group. Isn't it nice to see how such a relatively small donation can make such a difference? 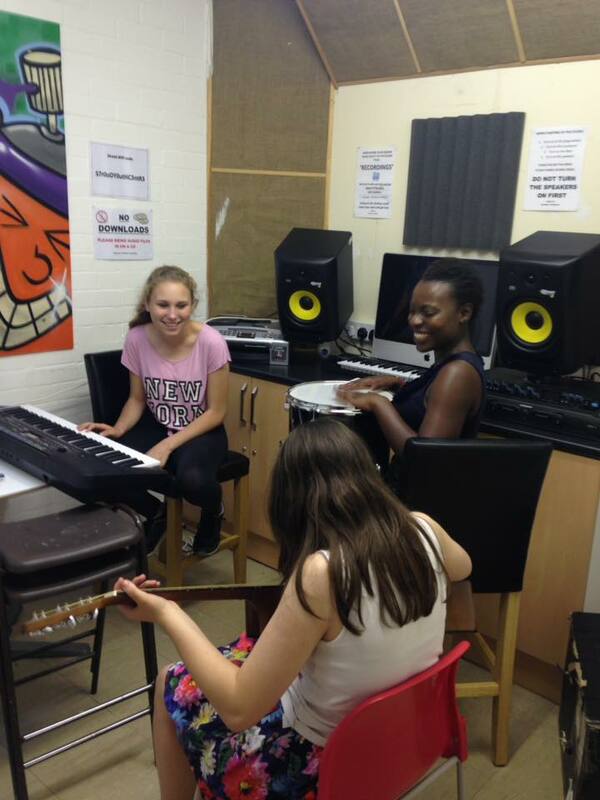 Streetcops were pleased to support an application from Strood Youth Club for the purchase of musical instruments. The Trust was impressed with the effort from the staff and young people at the centre to develop their music production and recording capability.